The Lower San Antonio Neighborhood plan grew out of a 2 year long community planning process involving over 1000 neighborhood residents. I led a team of planners and community organizers in an outreach process to bring together community leaders, nonprofit organizations, and cultural institutions from the area's many different ethnic groups. The EastLake Main Street Strategy outlined overall goals for a commercial revitalization program for Oakland's EastLake district, identified key stakeholders whose support would be essential and spelled out a 3-year workplan and budget. 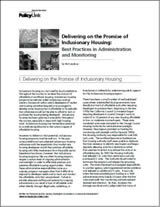 This neighborhood planning project focused on the impact of welfare reform and facilitated the development of an innovative collaborative to provide job readiness, training and placement for limited-English speaking clients. As a Program Officer for LISC I created this web site a a tool to facilitate communication and resource sharing between local community development professionals. 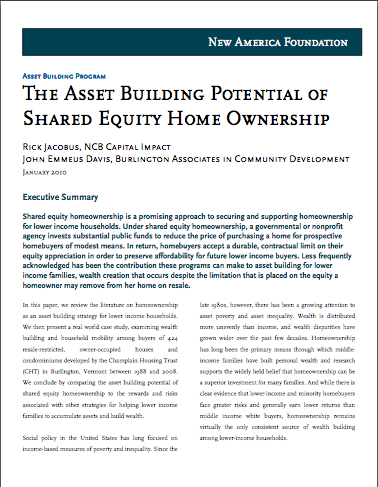 This paper published by the National Housing Conference's Center for Housing Policy examines common shared equity homeownership models. 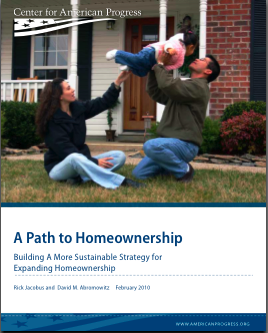 The paper argues that well designed programs can generate life altering wealth for homeowners while also preserving affordability of housing for future generations.